In this paper experts from two very different parts of the world, India and Germany, question the application of Attachment Theory in the field of child development. Attachment Theory has become extremely powerful on account of its moral and cultural claims to providing the best way to bring up children. Once it was adopted by international NGOs, Attachment Theory became the basis of intervention programmes worldwide. But Chaudhary and Keller argue that we are bound to recognise that variety and diversity in styles of caregiver-infant behaviour is the human condition. They point out various settings in which the universalising methods and practices of Attachment Theory would not apply and would lead to an incorrect evaluation of there being something wrong with the attachment bond between a parent and child. While the need for parental love and care is universally recognised, the expression of this love and care varies and Attachment Theory fails to account for this variation, even in the West. This paper has important insights for child protection today as Attachment Theory is a key tenet of modern child protection thinking. Child protection agencies are removing babies and toddlers by judging the attachment with a parent (usually the mother) to have ‘failed’ based on such things as whether the baby seeks eye contact with persons other than the mother (seen as evidence of an unloving mother), how the parent interacts with the child, whether the parent has a calm or volatile personality, the IQ of the parent, and so on. In countries like the United Kingdom and Norway a large proportion of child removals are for such flimsy reasons, which come under the rubric of ‘risk of future emotional harm’ or ‘Attachment Disorder’. This paper was originally published in the Sunday Guardian on 6 January 2018 as Universal child-care laws undermine cultural diversity as part of our ongoing weekly series with them called Global Child Rights and Wrongs. Among several African communities, the expression ‘It takes a village’ is used to exemplify the number of people required to successfully raise a child. However, the Western study of childhood has focussed largely on mothers, and recently, also on fathers. This article provides a critique of Attachment Theory. According to Attachment Theory an early, exclusive, sensitive and mutual bond between a baby and a caregiver (mother) is best for the child worldwide. From this early experience with the caregiver, a long-term, model of relationships is said to be formed in the child’s psyche, which determines its ability to form future relationships. Attachment Theory has gained much popularity in the “scientific” study of childhood and has impacted child policy, parenting and education the world over. We argue that it is a major flaw of Attachment Theory not to take into account the historical and cultural diversity in beliefs and practices related to children’s care. Children thrive under diverse settings. Attachment Theory fails to accept this variability. This is not an argument for ‘anything goes’. Attachment Theory does not adequately represent variation even in the West. Families all over the world value children and try to do their best for them, yet the expression of care and love is different in different cultures. This is necessary, because care practices are delicately adapted to the ecological conditions and social history of any given community. For instance, the practice of separating a young baby from the mother to sleep in another room is considered necessary in some cultures, and seriously neglectful in others. Some parents promote the use of pacifiers for young infants, whereas others consider it as harmful. Although these practices may have other reasons for their prevalence, such as susceptibility to infections or space available in a home, they are taken as having serious and moral consequences. Children for their part display an acute ability to adjust to different conditions and thrive under very diverse settings. Attachment Theory fails to accept this variability. It promotes the normative view that a baby must form an attachment with the constant presence of the mother, who is advised to dedicate her full attention and time to loving and caring for her baby in order for it to develop well. Every community, every family, and in fact, every parent has the right to bring up its children within the range of normative practices available to and valued by them. This is not an argument for ‘anything goes’, but to present a case against a narrow vision of Western child care popularised by Attachment Theory that does not adequately represent variation even in the West. Such a view pathologises a majority of the world’s populations and promotes a culturally specific, historically limited pattern of bringing up children, with a hint of moral superiority. In many languages, (such as Hindi and German), there is no equivalent word for ‘parenting’. It may come as a surprise that the word ‘parenting’ is a relatively new expression even in the English language, emerging in the 1970s. Its usage can be attributed to a shift in focus from affectionate care to purposeful stimulation. Whereas earlier children used to “grow-up”, the focus has shifted to them being “brought-up”. The human baby is by far the most dependent of all animal species at birth. However, along with modernisation, technological advancement and other changes in society, the period of vulnerability of young children seems to have been extended into later years. The vulnerability of the child and belief in long-term consequences of early experiences has fed into an industry of stimulation for brain development (such as the animation series: ‘Little Einstein’). This is also a time when extended family bonds are weakened and adults hardly experience children before they have their own. The advent of birth-control, higher education, work opportunities and increased individualism is accompanied by a significant slowing down of population growth and an ‘inward turn’, with greater importance on individual identity and self-presentation. Rather than promoting close relationships with a large social circle, there is a preference for promoting autonomy and independence. Children are encouraged from a very early age to do things on their own, rather than depend on others. Culturally, the separation from other people is encouraged in contrast to the relational, inter-dependent and socially adapted notion of a person in the Global South. ‘Expert’ advice was given priority over ‘old wives tales’, and childhood became a science project. As inter-generational ties weakened and parents were left to their own means for child-care, the scientist entered the home. The first entry was made by paediatricians (like Dr. Benjamin Spock), followed by psychologists and neurologists. ‘Expert’ advice was given priority over ‘old wives tales’, and childhood became a science project. Early childhood education gained popularity and children gained special status, in need of strategic investment for a productive future. Discourse about parenting became a world-wide reality for educated parents and ‘parenting’ was established as a purposeful profession. 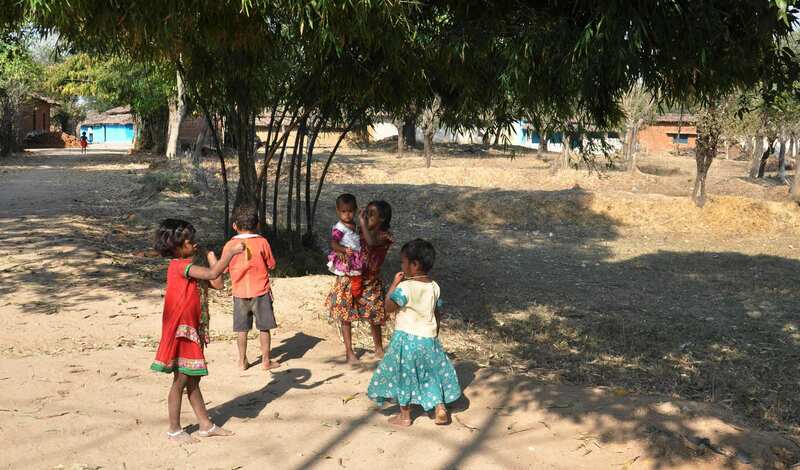 The care networks of children in non-Western lifestyles are, more typically than not, extensive, with child care and other responsibilities distributed among adults and children, kin and kith alike. One person may be the child’s primary caregiver but this caregiver may spend less time caring for the child than the combined collective input of all other caregivers. As observed among the Efe foragers of Democratic Republic of Congo, children are cared for by a range of people. Research among Senegalese villagers describes their belief that an adult is ‘crazy’ if she talks to a baby who obviously does not understand what is being said; “no one is there,” it is said. Being sensitive and conversational with babies is not a universal practice, although affection and care is. This love is expressed in many different ways. Communities differ in how much a child is believed to understand, and what the early reactions of babies mean. For instance, a child’s early dreams may be attributed to neurological signals by some, but are believed by others to be echoes of a past life. Some cultures follow and respond to children more often, while others tend to direct and instruct children from a very early age. Thus there is a wide ranging variety in child care settings and strategies. 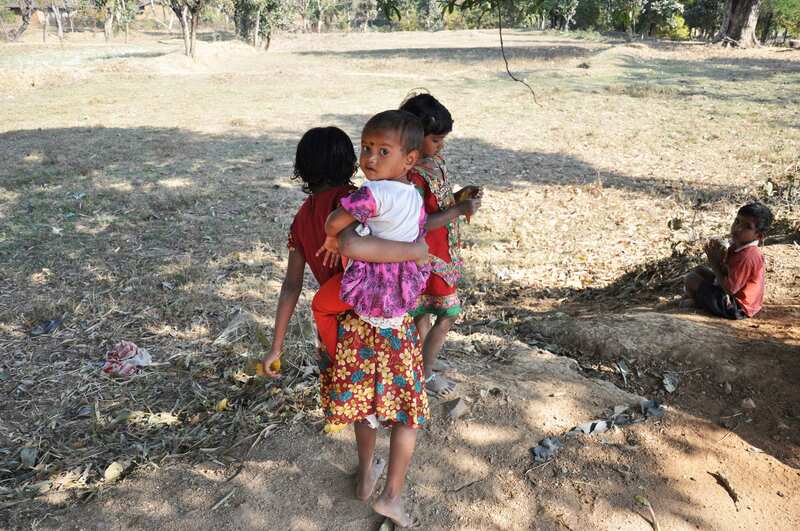 Within multi-generational joint families in India, the typical form of care for children is several caregivers with many children. Grandparents, aunts, uncles, cousins and siblings are all roped into the care of a young child. In such a setting, importance is given to a child’s willingness and ability to get along with many adults and several social games are arranged to promote this skill from a very young age. It is common to playfully tease a baby who is clinging to one person by pretending to take her away briefly. People around closely watch for a baby’s reaction and then discuss these in the child’s presence to provide feedback about temperament and relationships. A clingy child may experience more such social challenges. There is a constant encouragement of children to learn to get along with others. Large families and many relationships are also considered beneficial for others in the family. They provide valuable occupation to the elderly and are an important training ground for future caregiving for younger persons. In such a setting, the notion of a self-contained autonomous individual as an outcome of development is subordinated to connectedness with others, relationality, sensitivity and obligation towards others from a very early age. The roles and responsibilities of children’s caregivers, including the mother, are likely to vary across people and time. In rural Madagascar, for example, role expectations of mothers are largely confined to caring for their children’s physical needs. It is children who play and talk with other children. In fact, anthropological research has shown that there is very little evidence to suggest that mother-infant play is universal, let alone common. 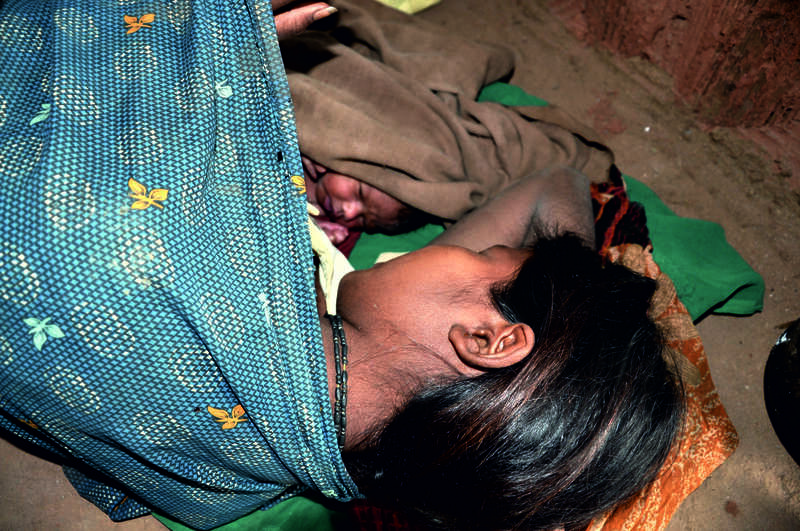 Among Indian multigenerational joint families, mothers are urged to be “judiciously neglectful” so that others can step in to care for the baby; when this fails to happen and the mother-child bond appears too close, there is social pressure directed to the mother to follow this practice. In such settings, Attachment Theory and its methods would not apply. The expressions of sensitive care and warm responsiveness would not be discernible the way these are in a nuclear family system. If these relationships and children’s adaptations are seen from the perspective and procedures of Attachment Theory, one can easily, but wrongly, conclude that there is a problem with the attachment bond when a young child does not react to a mother’s departure from the room (because she may be used to being with others, and without the mother). Many other practices are at odds with a relational and social orientation of child care. For instance, the focus on always praising your child in order to promote self-esteem is another practice that would be considered inappropriate because is believed to be counter-productive to group living. Furthermore, public praise is also believed to make a child vulnerable to envy from others, something that is termed colloquially as ‘nazar’ or the ‘evil eye’. The focus on articulating feelings towards children by saying things like “I love you” or “you are the best” or “great job”, all emerge from the project of building self-esteem that comes from the ideology of individualism in contrast to an orientation towards others. Although Attachment Theory is obviously promoting ideas about parenting and child development that are in stark contrast to what the majority of the world’s population thinks and believes, it has become extremely powerful on account of the moral and cultural claims of being the best way to bring up children. Once it was adopted by international NGOs, the theory became the basis of intervention programmes worldwide. Global policy presents a globalized view of childhood without acknowledging that it is conceptualized only in Euro-American ideology. Children’s development is considered as isolated from social context in documents like the United Nations Convention on the Rights of the Child. This is predicated upon the notion of the individual as separate from society and human or child development as separate from culture. When we accept these as ‘universal principles’, there is an overestimation of the role of science based on a Western philosophy of individualism. 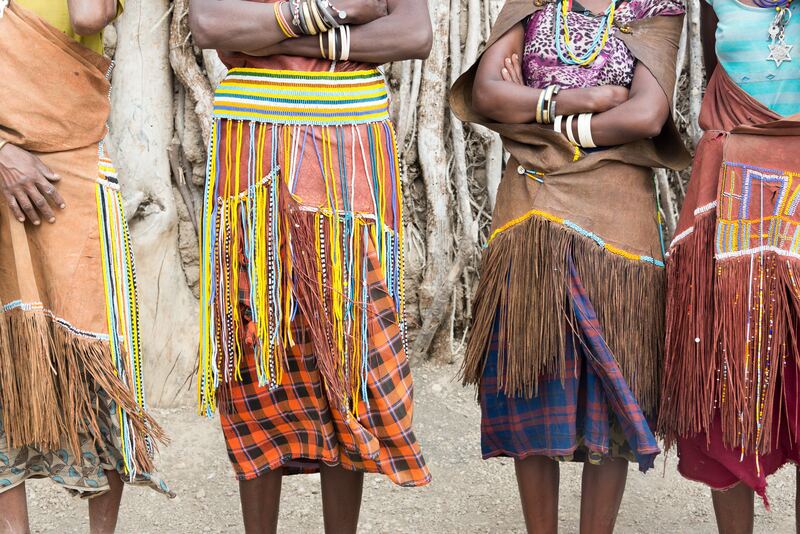 When such rules are accepted as binding, local cultural practices are undermined. Global policy presents a globalized view of childhood without acknowledging that it is conceptualized only in Euro-American ideology. We need to keep a critical vigilance on any policy that impacts the cultural lives of others to ensure that ethical boundaries are not being crossed. Variety and diversity in styles of caregiver-infant behaviour across cultures is the human condition. Caregiving in every community, every family is directed towards goals that are related to cultural models that are valuable to a community. Variety and diversity in styles of caregiver-infant behaviour across cultures is the human condition. In the care of children, we have to accept that children are valued and cared for universally, but this universalism does not imply uniformity. When we are confronted with cultural diversity, for both ethical and scientific reasons, we must accept that the care of children is diverse and adapted to ecological settings. No one culture can have all the answers to the care of children. Dr Nandita Chaudhary taught in the University of Delhi for more than three decades. Dr. Heidi Keller is Professor Emeritus at Osnabrück University, Germany and a Director of Nevet at Hebrew University, Jerusalem, Israel.